Many people believe that locks need to be replaced, however the majority of the time locks can be repaired, which usually works out at less of a cost then replacing the locks all together. We are lock repairs specialists, and can repair 90% of locks onsite for windows and doors, including old antique locks – we can do this while we are at your property. We can even repair multipoint locks for our domestic and commercial customers. We can be at your property within an hour from when you call us, and can provide a free over-the-phone quote. Please note that if no work is necessary, you will not be charged. For the leading lock repairs specialists, give us a call and we will be happy to assist, or if you require further information, or a free quotation, do not hesitate to contact one of our friendly team today based in Market Harborough..
We are UPVC specialists and can repair any UPVC door or window. All of our staff are CRB checked, have the latest training and product knowledge, alongside full public liability insurance of up to 5 million pounds. 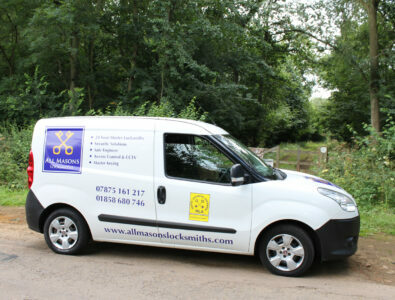 Our emergency locksmiths are available 24 hours a day, 365 days a year. We provide our services to both domestic and commercial customers.